Wind is howling outside and temperature is dropping. Will the wind blow in the forecasted snow showers this evening? The air is crisp and refreshing as I walk about outside in anticipation of the first snowfall during this holiday season. 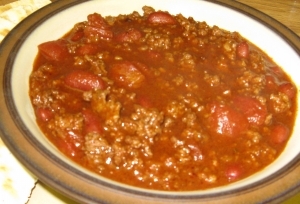 As I come back inside to the warmth of our home, the smell of the chili simmering on the stove wafts throughout the house. I always look forward to the first holiday snow. Watching the snowflakes fall slowly to cover the ground is a beautiful, wondrous sight. I especially love a snowfall at this time of year when Christmas lights are twinkling and reflect off the snowflakes creating a rainbow of tumbling sparkling lights. On a quiet night if you listen closely you can hear the snow as it gently falls to the ground creating a glittering white blanket across the landscape.